There are so many reasons to shop vintage when it comes to eyeglasses including a wider range of styles, authentic looks from different decades, superb craftsmanship, and the opportunity to pick up some top bargains. Don’t worry if you can’t find a pair of vintage spectacles with the right prescription lenses as you can always get them professionally reglazed so they are completely bespoke to you. So if you are in the market for some vintage eyeglasses, here are 5 easy steps to help you shop vintage like a pro! Before you start shopping for your vintage specs, it’s good to know your best decade. Based on the way you like to dress, you may find that one certain decade suits you better than another. Or it could also depend very much on your face shape and facial features. For instance, the 1970s featured a lot of metal specs such as round lens glasses (like John Lennon) or aviators whilst the 60s really pioneered acetate frames with thick rims, bold colours and geometric shapes. Visit a vintage market or a vintage fair to start your search. Some of the best vintage markets in the UK include Portobello Market in Notting Hill, London’s Spitalfields Market, Camden Market, the bi-monthly fair at Lincolnshire Showground, Ardingly International Antiques and Collectors Fair, and Alexandra Palace in North London. You can also shop online through re-seller and auction websites and you can usually pick up some fantastic eyewear bargains. When it comes to shopping for vintage frames in person, you have the benefit of trying before you buy. But if you’re buying online, make sure you check the measurements. 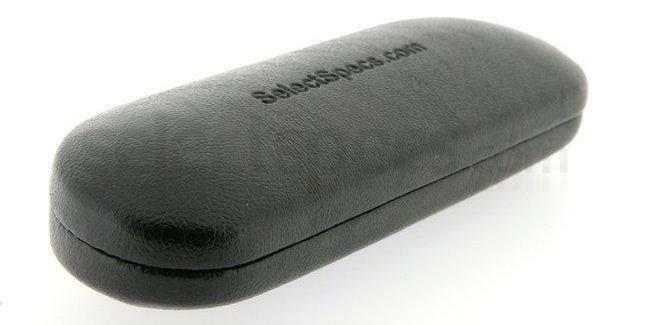 If you have an old pair of glasses, you can measure them to make a comparison. 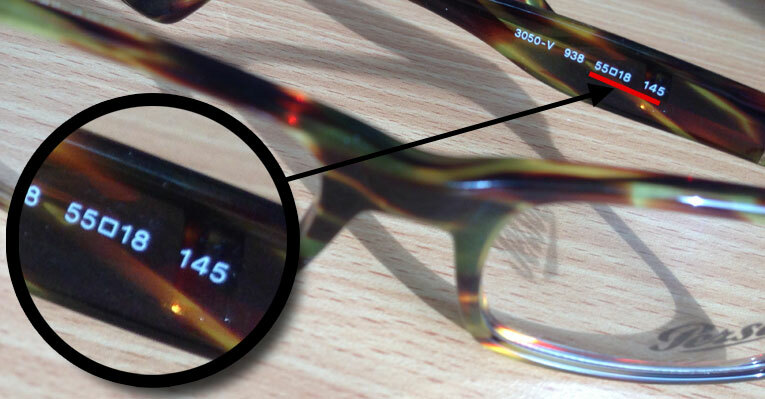 If the seller / auction site has not provided measurements, you can always ask for them to be measured or you can ask the seller to look on the inside of the arms, where the information is sometimes printed (although this may not be the case with older spectacle frames). 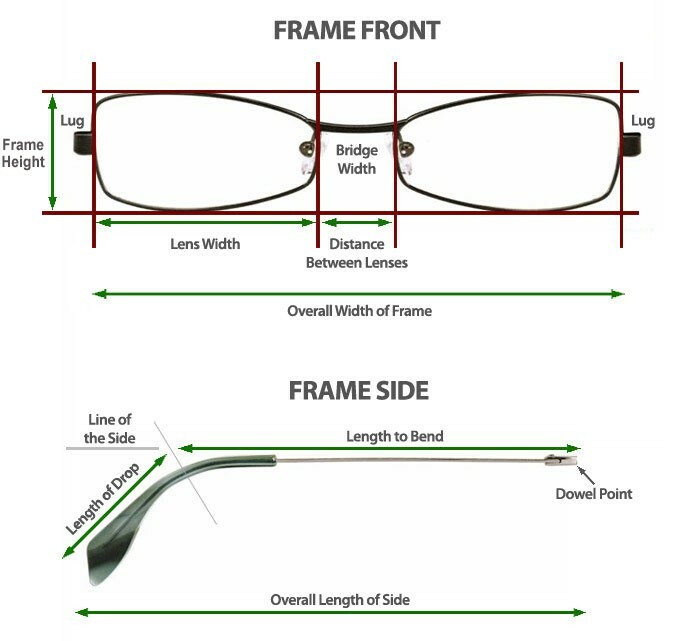 Deciphering the above: 55(mm) will represent the lens width, 18(mm) will represent the bridge width, and 145(mm) will represent the overall length of the arm. If you can, always inspect the frames before you make a purchase. Check that there are no cracks or breaks across the frame and always check that the arms function as they should. 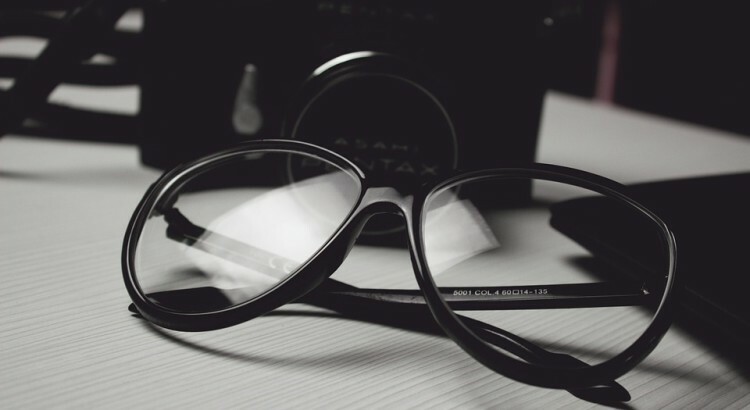 With older glasses, it may be a case of replacing some old parts such as the nose pads and you may want to buy a new hard glasses case to keep them protected from future damage. For online shopping, always ensure that there are images of the vintage spectacle frames from every angle and ensure that the photos are clear. Remember, flash lighting in dark room can sometimes blur marks and damage so daylight photos using natural lighting are best. Once you’ve got your vintage frames, all you need to do is use a reglazing service, such as the Select Specs lens replacement service, which starts from just £35.00 (price includes lenses and coatings). You will need a valid prescription and you will be asked to post your frames to the Select Specs headquarters after completing the checkout process. Then before you know it you’ll be getting your newly fitted vintage spectacle frames posted back to you within 7 to 10 working days! It’s that easy! And if you can’t find the perfect pair of vintage glasses, you can browse online at Select Specs for a huge selection of vintage style spectacles that feature everything from 19th Century steampunk to art deco in the 1920s and 1930s, to 50s cateye frames and 60s mod glasses, all the way to 90s oversized glasses and 2000s geek chic!